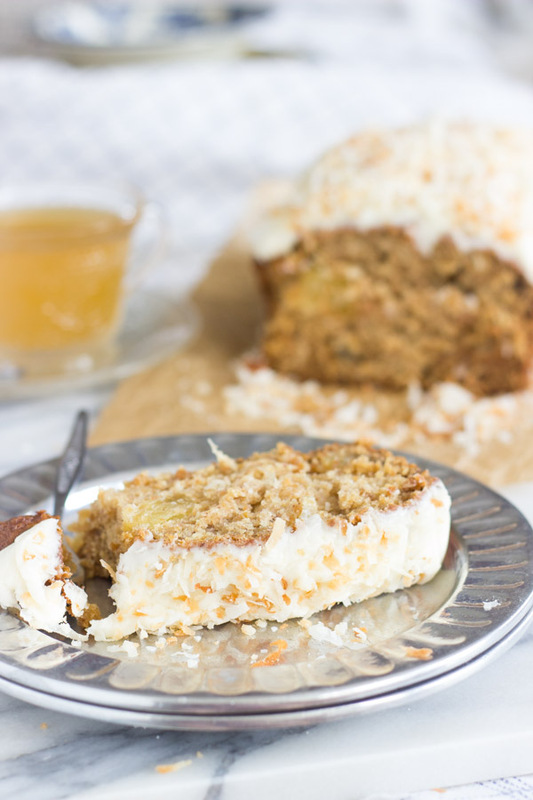 A tropical spin on sweet potato bread! 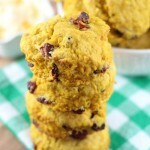 This sweet potato bread is loaded with chunks of dried pineapple and shredded coconut, and is made with coconut oil! 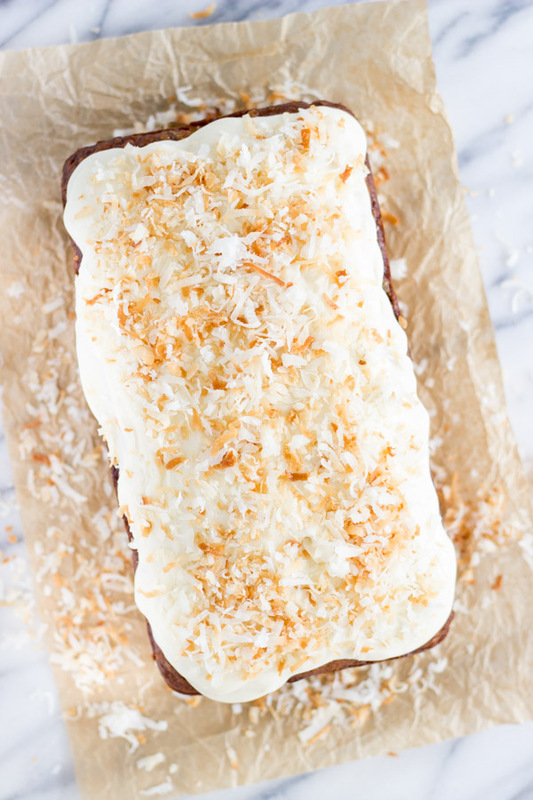 It’s topped with dark rum icing and toasted coconut to complete the tropical theme. This bread was inspired by a devotion to turning sweet potatoes into dessert-like things. Like sweet potato casserole. It’s basically dessert. 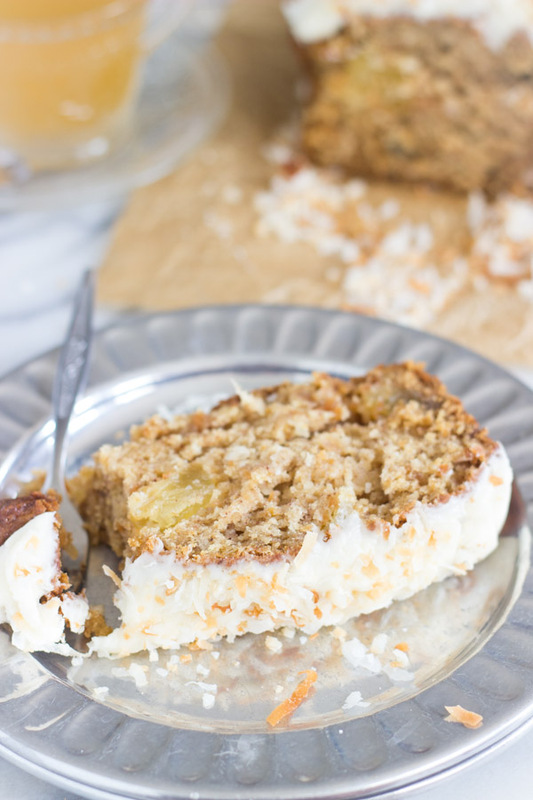 A few favorite versions – none of which happen to be on the blog (figures) – are a candied sweet potato casserole with brown sugar, marshmallows, and pecans on top, and a tropical sweet potato casserole with pineapple and coconut. Sweet potato casseroles are so great because they’re sweet like dessert, but we get to say that we’re eating vegetables. I hate vegetables, as a rule, so there is no better way to eat them than when they’re really dessert. Sweet potato pie is another excellent example. I love it. I only had it for the first time in my life about 4-5 years ago at Thanksgiving with my in-laws, but it’s a holiday favorite for me now. 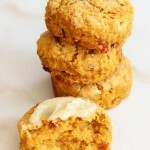 The sweet potato filling is practically candy. My kind of veggies. I knew I wanted to incorporate a few recipes with sweet potatoes this fall, and I knew I wanted to share a recipe for sweet potato bread. Since I already shared Sweet Potato Pecan Pie Scones last year that played off the idea of candied sweet potato casserole, for this bread, I opted to go with the tropical theme. This bread is just so moist, sweet, and sticky. 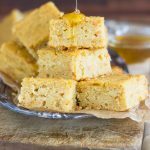 It has all the texture of a dense and moist bread, like a banana bread or pumpkin bread, but with all the add-ins, it’s definitely sweeter. I’m always game for sweeter quick breads that hover dangerously close to being labeled cake. What about you? There’s a lot of things I love about this, but my favorite part is that it’s made with coconut oil! So not only are you getting vegetables in this bread, but healthy fats too. Win-win. There are 2 cups of mashed sweet potatoes in this bread, so it makes it ridiculously moist and flavorful. 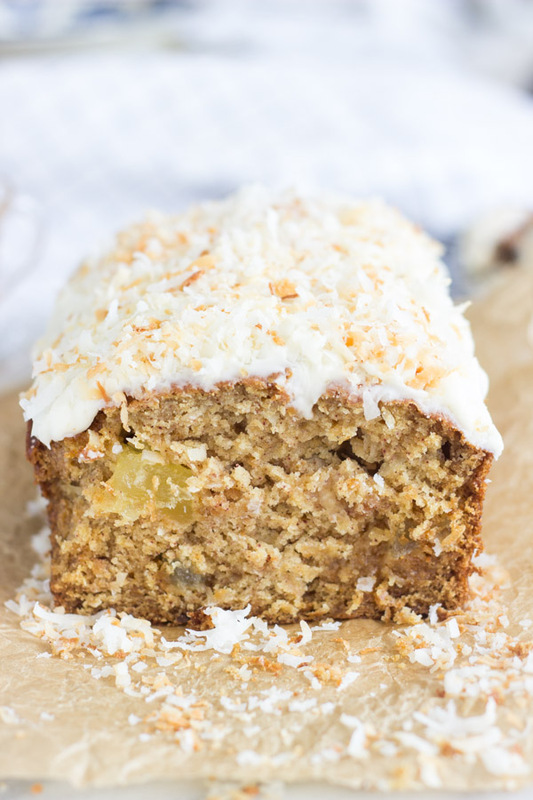 I used pineapple juice for the liquid component, and then for add-ins, I threw in shredded coconut and dried pineapple chunks. The pineapple chunks are quite glorious because they absorb some of the moisture as this bread bakes, and they become soft and plump. 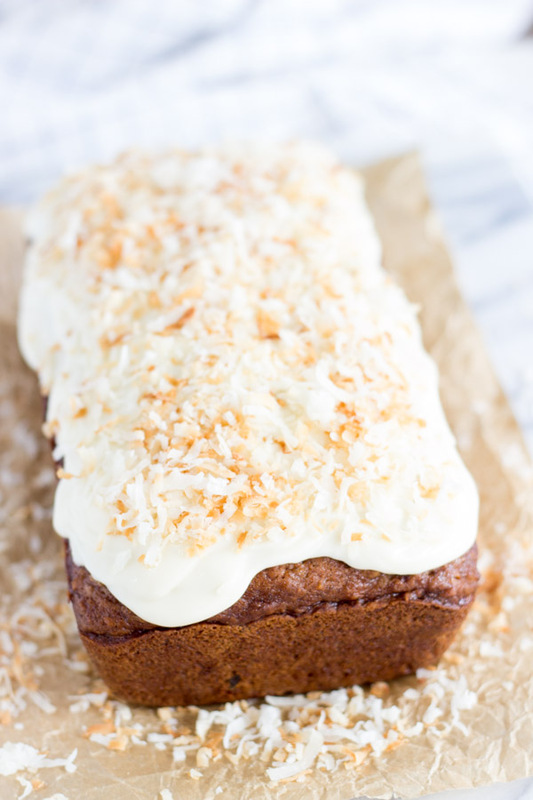 I considered calling this Pina Colada Sweet Potato bread since the icing is spiked with dark rum, and why didn’t I?? What an easier title. I’m not going back to change it now, but it certainly would’ve been apropos. The bread is slathered with a buttery dark rum icing on top, thicker than a glaze, but not quite frosting. 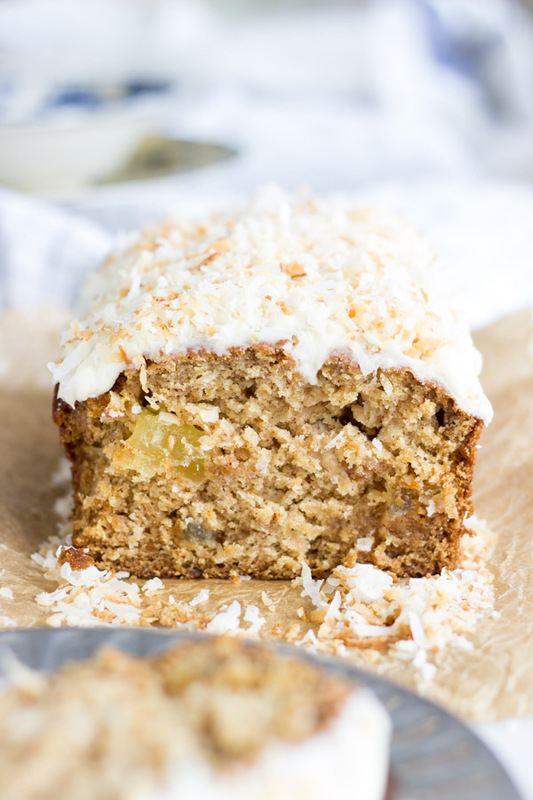 And a generous sprinkling of toasted coconut, for good measure. I wanted this bread to be tropical, and it pretty much kicks you in the face with the pineapple, coconut, and rum elements. 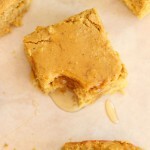 But it’s still ultimately a sweet potato bread, so it’s totally fitting for fall! 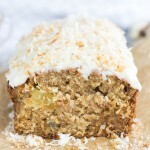 This sweet potato bread is loaded with chunks of dried pineapple and shredded coconut, and is made with coconut oil! 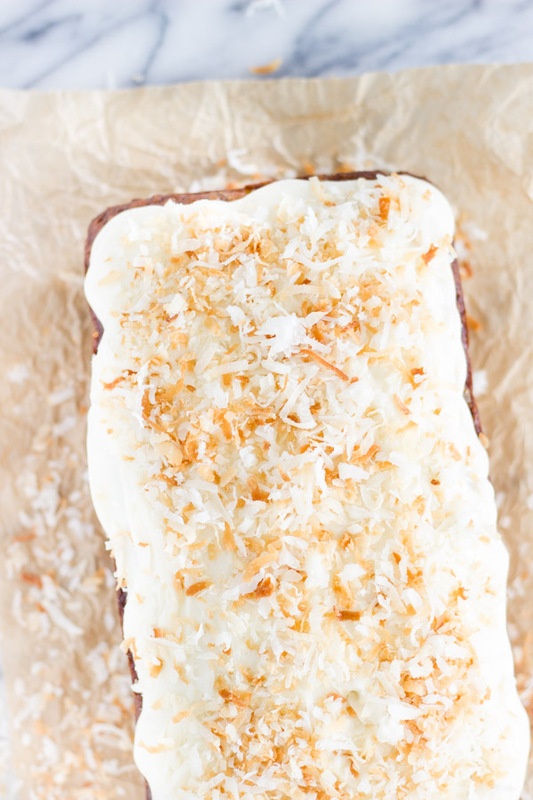 It's topped with dark rum icing and toasted coconut! In a large bowl, combine pineapple juice, coconut oil, eggs, and mashed sweet potatoes, stirring until mixed. In another large bowl, whisk together sugar, flour, baking soda, baking powder, salt, and cinnamon. Add the wet ingredients to the dry ingredients, and mix until just combined. Fold in coconut and dried pineapple. 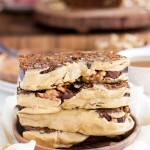 Pour batter into a greased or parchment paper-lined 9x5-inch loaf pan. I had some batter left, and made a few mini bundts. You could also convert this into two (2) 8x4-inch loaves - reduce baking time. Bake at 350 degrees for 50-60 minutes, or until a toothpick inserted near the center comes out clean. For 8x4-inch loaves, reduce baking time to about 40 minutes. In a small bowl, whisk together rum, butter, and powdered sugar, adding a little water as needed to achieve an icing consistency. It will be thick, but spreadable. Sprinkle with toasted coconut. Once icing sets, cut and serve. It was based from a recipe I have for tropical sweet potato casserole! Thank you!! How good does this look!? That frosting, though.. and I mean, it’s healthy, right? Because vegetables. Thanks for sharing with Share the Wealth Sunday! Looks amazing! Sorry it took so long to visit – I’m a tad behind!! Thanks for sharing at the What’s for Dinner link up! No problem at all. Thanks so much for the party!